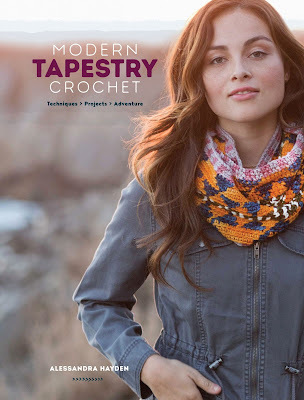 Although Alessandra Hayden, author of the book Modern Tapestry Crochet, and I have never met or spoken, we already have two things in common at least: we were both born in Sao Paulo, Brazil and we both learned to crochet from our grandmothers. Alessandra, however, has made crochet her major crafty passion, and we can appreciate it in her current book published by Interweave. 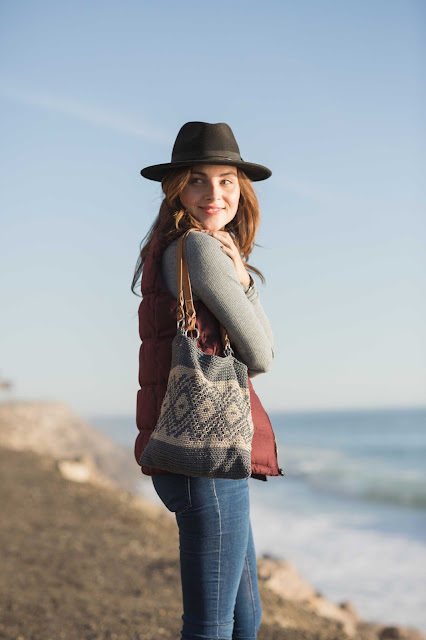 Modern Tapestry Crochet presents twenty projects featuring out-of-this-world tapestry crochet designs. 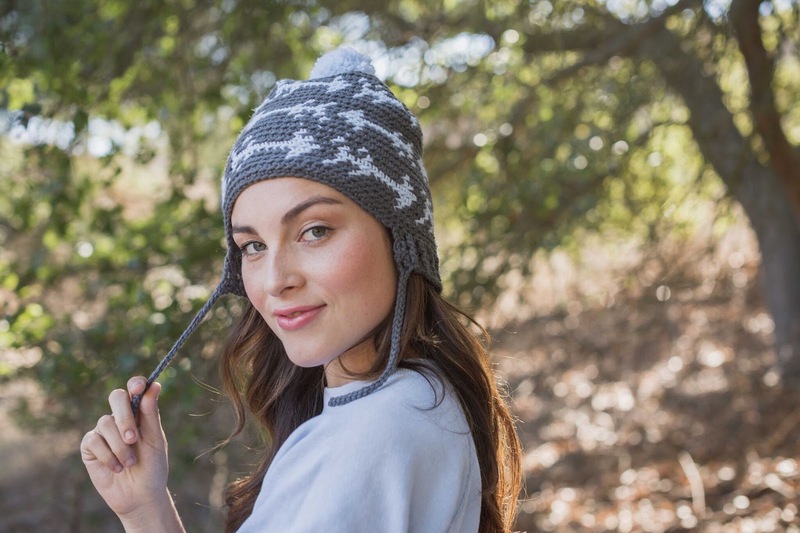 Geometric motifs and easy instructions combined with gorgeous photography and plenty of diagrams make for crochet heaven! All photographs by Harper Point Photography for F&W Media International. Used with permission. In the Techniques section, Alessandra shows us an easy trick to prevent 'floats' (think of all those yarns floating inside socks and getting tangled in your toes as you put them on: yikes) and make the back of the fabric look so much better! 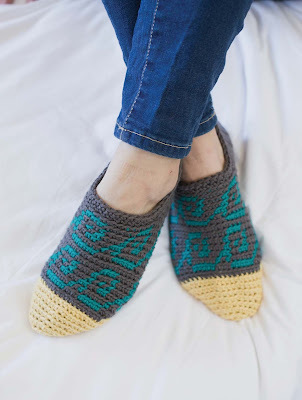 The step-by-step instructions are clear and give us the confidence we need to venture into the modern tapestry crochet journey she outlines for us. The smaller projects such as headbands, mittens, hats, and socks can be a perfect introduction to tapestry crochet. The hat designs are fantastic! Alessandra expertly chooses the perfect motif and palette for each project creating unique, fresh, and stylish accessories which are sure to become our favorite items. I leave for Brazil in a few days and promised my nieces we would crochet together. This book has a spot in my luggage already! It is time to choose more yarn to bring with me. Modern Tapestry Crochet is a must-have book in every crocheter's library. I am certainly glad I got my copy. Thanks for the info. This book looks fabulous. Have a wonderful trip.